Learn soccer skills and teamwork in a fun, non-competitive and educational environment through age-specific curriculum. 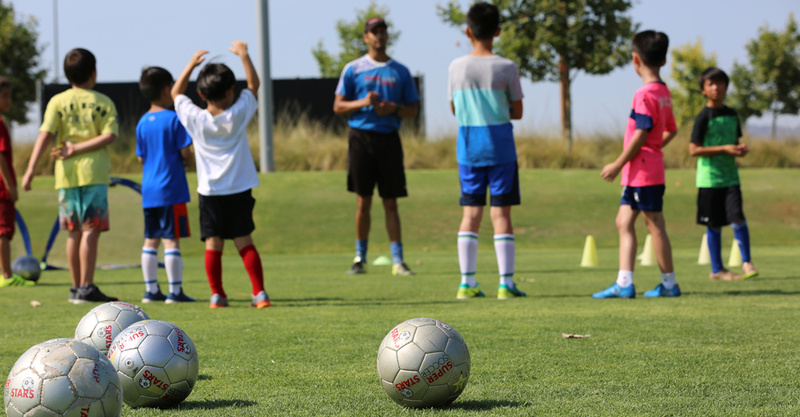 Low child-to-coach ratios and positive reinforcement ensure each child improves at their own pace while having a blast. Have a younger child? Our Parent & Me: Kick & Play program is designed for children ages 12-24 months. For more details and to register, click here.